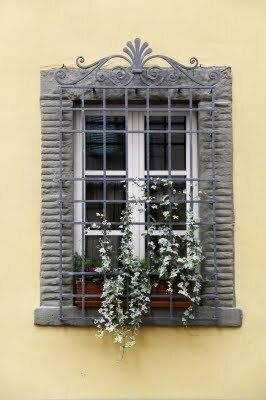 You may be curious to know whether or not your window may have a historic value. Let me explain. A Sash is a classical British window; it includes two halves, one right atop the other. One of the halves can slide vertically to close. The sash was invented in Britain or by a Low Country during the 17th century. UK citizens used sashes during the whole 19th century for approximately around 200 years. In 1709, legislation was passed which ordered that all sashes in the country had to be recessed into their opening by a minimum of four inches. This was done as form of fire protection. Later, other cities and towns followed in their footsteps. During 1774, a new legislation was passed. This law ordered that sash boxes had to be tucked behind a wall. This was mandated so that only sliding frames were exposed to a raging fire. In essence, the next step for you to find out about the age of your windows is to check the age of your sash by locating if there is any sash box; if so, then your sash is a late one. But thanks to major advances in the glass industry during the 1840's, larger panes were created which replaced the smaller ones that had always been used earlier. Big sheets of glass were substituted, so that the Victorian sashes hold just two panes. These are the ways by which you can figure out some of the history of your home.